Bennett / Alligator -- Legendary designs and Bennett family-owned since 1975. Made In Southern California, USA. 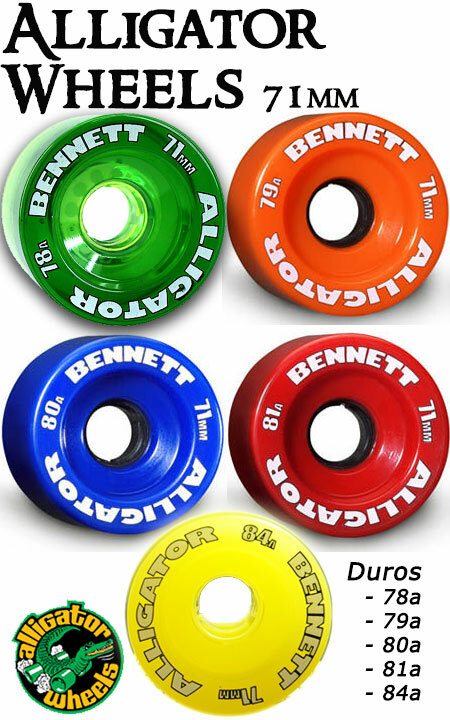 Alligator wheels were first introduced in 1977 and at the time, were the most sought after new product. The new Alligators feature a high performance "total memory formula" urethane. Alligators are designed with an offset bearing seat, precision core and with a rounded outer lip for maximum grip. Sold in sets of two wheels to allow mixing of durometers. Order quantity of "2" (sets) for one skateboard.